Boeing said it has no plans to extend the range of the 737 MAX 9 in response to Airbus's move to offer a longer range version of its A321. 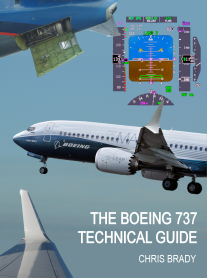 "We are very happy with where the MAX 9 sits and feel the competition is simply doing things to catch up with it," Randy Tinseth, vice president of marketing at Boeing commercial planes said. Last month, Airbus said it would add fuel tanks to the A321neo to increase its range, targeting a market niche left open by the out-of-production Boeing 757. Airbus said the plane's range would be about 100 nautical miles more than that of the 757-200W. The market for these single-aisle aircraft is crucial for both companies, as it will account for nearly 70 percent of new aircraft deliveries worth some USD$2.5 trillion over the next 20 years, according to Boeing estimates. Airbus recently said demand for the larger A321 is prompting it to start its production on US soil with that model instead of the A320 as originally planned. Some airlines have been "upgauging" to larger jets to lower per-seat costs. The A321 seats about 185 passengers in a two-class configuration, compared with 150 for the A320. Boeing said it sees the single-aisle market around planes with 160 seats in a two-class configuration, about the size of the 737 MAX 8. The larger MAX 9 carries about 180 passengers in two classes. Tinseth said Boeing can already put an additional fuel tank on the 737 MAX 9. But the company does not see a business case in making an extended-range version of the plane. "Anything that you look at in that market segment to increase the range of that airplane, I think it would come with small returns," he said. 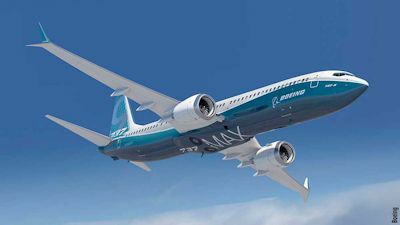 Boeing's chief executive, Jim McNerney, said earlier this month that the company would bring out a 737 MAX replacement around 2030, with a new fuselage, wings and engines. That plane will also address the gap left by the 757.